These are a fully Approved Kia Dealer Supplied option by Kia Dealers in various Countries. Great OEM Accessory for your Sportage! Excellent value for your Sportage 2WD 4WD AWD 4x4 giving an excellent finishing touch. 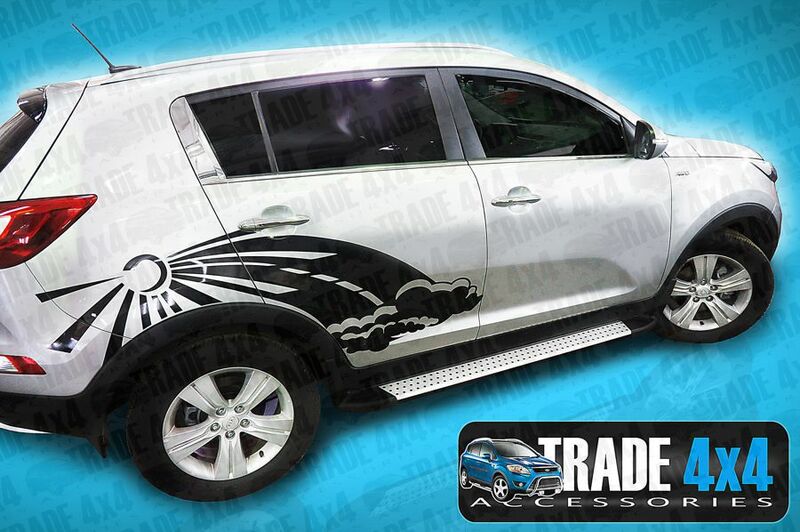 Click the button below to add the Kia Sportage Side Steps AMOUR OEM Running Boards 2010-ON to your wish list.